There are several excellent trekking spots around Bangalore. The Savandurga Hill is a great trekking spot, located about 50 kilometers away from Bangalore. One of the trekking trails here goes through an old fort that belonged to Kempe Gowda. This trek, though, is better suited to experienced climbers. This could be added to your weekend outing plan with your friends. If you love trekking in the company of crowds, try the Nandi Hills trek. The climb is less challenging, and the view from the top is worth the effort (in fact, you could even spend a few days here). 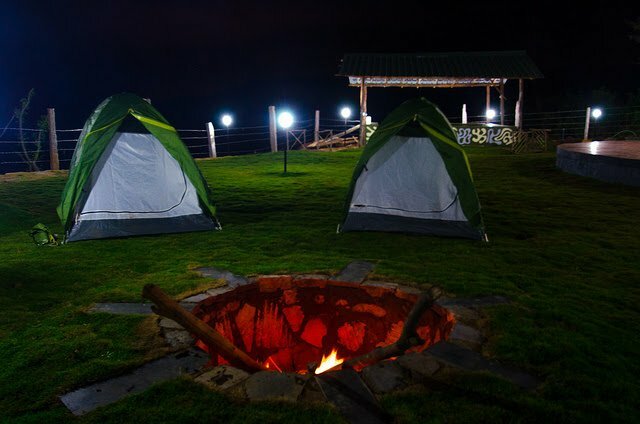 Some other awesome treks to check out are at Ramanagara, Skandagiri, and Makalidurga. Dirt Biking in Bangalore has gained popularity as an outdoor activity. In the city, you can find a couple of dirt bike tracks that have all the modern biking facilities. The tracks at these biking facilities are custom designed to bring thrill and fun to your biking experience. The Big Rock Motopark in Shapur has a good dirt bike track. The track is only open on the weekends and you need to pre-book a session. Dirt Mania Outdoor Adventure is yet another awesome place for dirt biking. Here you can hire quad bikes, which are a bit bigger than the normal dirt bikes. You can either choose to ride on the custom designed dirt bike track or be bold or opt for the nature ride trail, where you can ride on a hill. It is advisable to hire a guide for the nature ride trail as the route is confusing. The rivers near Bangalore are the perfect setting for adventure enthusiasts to enjoy rafting with your team. Bangalore is also famous for its white-water rafting. There are many adventure sports companies that organize river rafting sessions in and around Bangalore. Dandeli in the north of Karnataka is one of the best places for river rafting. The water released from the neighboring dam and the beautiful surrounding of the Kali river make this place a popular spot for white-water rafting. The rafting stretch begins at Ganeshgudi and ends up at Maulangi Dandeli. With challenging rapids, white-water rafting here is sure to give rafters a thrilling and chilling adventurous experience.